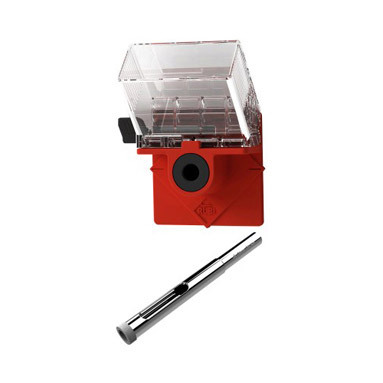 Rubi Easy Gres DIY tile drill bit kit. 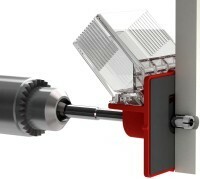 Featuring a 6mm diamond drill bit<b>for drilling into porcelain, ceramic tiles, granite, marble and glass. Also included is the innovative Easy Gres guide for precise positioning and convenient water cooling. The Easy Gres guide also includes a removable water tank with a tap to regulate the water flow and 10 self-adhesive pads to fix the guide to the surface to be drilled, whether rough or smooth.